This mod is only required on the client side. 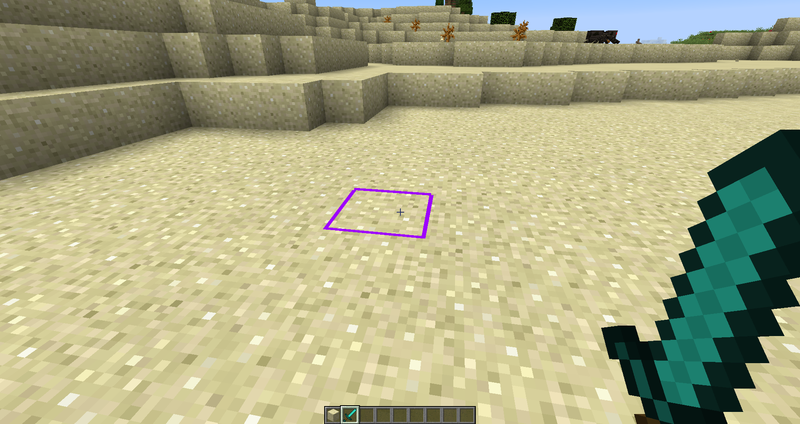 DO NOTE: The mod defaults to default minecraft settings. You must go into the config first and change the settings in order to start using the customized settings! 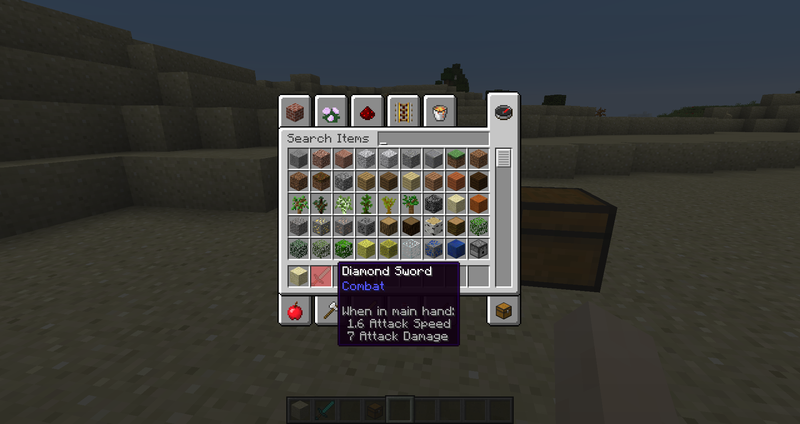 As you can see above, the mod also has an ingame gui config editor. Gobblecore should be added to the description and/or dependencies tab. Modlist: AmbientSounds, CustomUI, GobbleCore, Optifine, SmartHUD, toro Health. WOAH. I looked so far and wide last year in the web for a recent mod that changes the block highlight, and finally here it is. Hope you enjoy it and feel free to suggest other similar things you would like to see added! 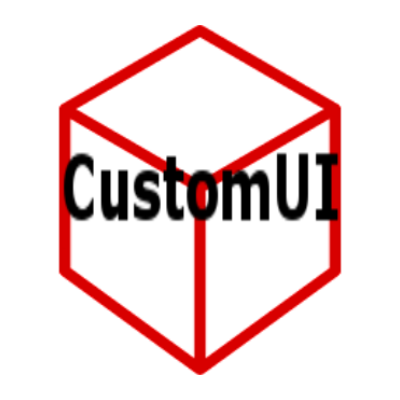 I tested a bit and it would be perfect if it was possible to modify indipendently the outline and the block face, so they can have different colors, alpha and so on. 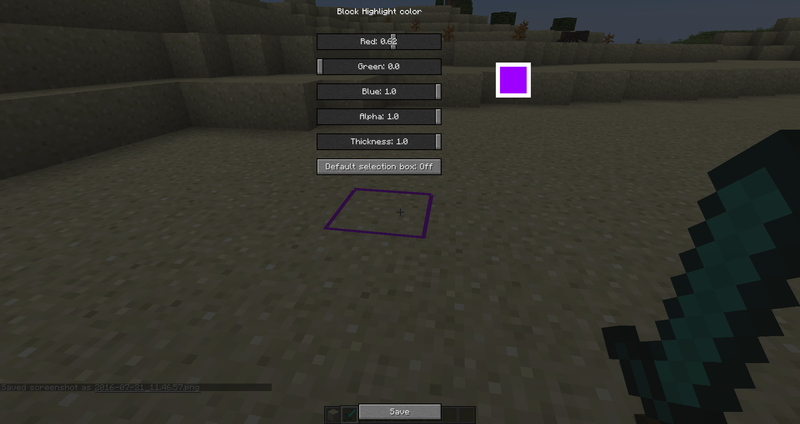 In this case, if there would be a way to disable the outline there may be an additional twist for the highlight block customization. The ingame config doesn't allow it, and setting manually in the file the thickness to 0.0 still mantains the vanilla one. I can look into this! Simple enough. Will have a new version out in the next day or two! I can look into these two things! Nice mod, help to work faster by making selection obvious. Will you consider backporting to 1.9.4 plz ? It may be already compatible. I will test it when I have a chance but feel free to do it to and reply whether or not it works properly! Thanks for the backport to 1.9.4 ! There's smthg you would smooth a bit: thickness slider changes its scale by a factor 10 depending if your just reading it or adjusting. No problem! And sorry, but I don't quite follow your second part. In "block selection", thickness slider sometimes ranges from 0.0 to 1.0, and sometimes from 1.0 to 10.0, quite confusing ! Huh, weird. I will look into it. Like, you know when you hover them, they use the selected button texture wich is more blue. Why not add a small fade transition to it instead of it happening instantly?